Showtime is set to premiere a new documentary centering on an iconic performance from rock legend Jimi Hendrix. 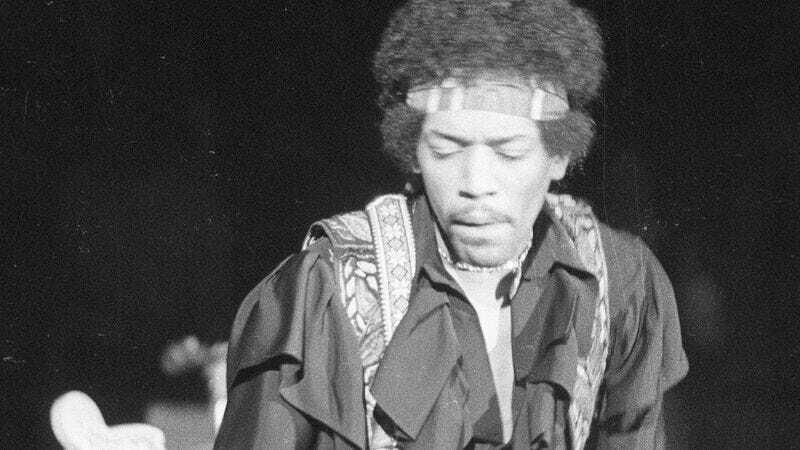 The new film, Jimi Hendrix: Electric Church, will focus on Hendrix’s 1970 performance at the Atlanta International Pop Festival, where hundreds of thousands of people gathered to hear him play at the so-called “southern Woodstock.” The film will tell the story through festival footage shot by Can’t Buy Me Love director Steve Rash, which went unreleased after a deal to turn it into a documentary back in the ’70s fell through. The original footage will be mixed with interviews with Hendrix’s bandmates, as well as conversations with musical icons like Paul McCartney and Metallica’s Kirk Hammett. Electric Church is just the latest in a recent spate of films about the Purple Haze artist. Paul Greengrass has been toiling for years to get a biopic about Hendrix off the ground, while American Crime showrunner John Ridley released Jimi: All Is By My Side last year to middling reviews. Unlike the latter film, though, the new documentary will carry musical sanction from the artist’s estate; Freedom: Jimi Hendrix Experience Atlanta Pop Festival, a two-disc album of the live performance, is being released by Experience Hendrix L.L.C. and Legacy Entertainment in advance of the film’s Sept. 4 release date.